Westonite Liz Waltzman will be a featured expert at Westport Library’s “Countdown to College Expo”on September 22 between 9:00-1:00pm at Toquet Hall Teen Center, 58 Post Road East, Westport. The open house will offer assistance from local academic tutors and college counselors, plus practice standardized tests and a Common Application review with pre-registration (see www.westportlibrary.org for the program’s varying locales). Waltzman, founder of Write Ahead College, LLC, will assist attendees with their college essays and supplements. The event is free and open to the public. Liz Waltzman founded Write Ahead College in 2013 and has since worked with high school juniors and seniors throughout Fairfield and Westchester Counties on the Common Application and required essays. Waltzman guides students through the process of brainstorming, composing and editing personal statements, supplemental essays and all other application writing. An essay expert and encouraging coach, Waltzman recognizes it’s the student’s story and voice that are paramount and ensures both are prominent. 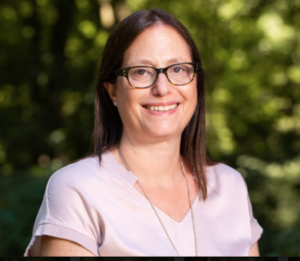 Waltzman holds Masters Degrees in Art History, Education and Library Science and is Scarsdale High School’s librarian with experience twenty-five years strong. Among her many responsibilities, she most enjoys helping students formulate, research and organize ideas, and often proofreads essays and research papers. These aspects of her position prompted her to launch Write Ahead College to help teens thrive during the often overwhelming task of applying to colleges. “Liz Waltzman provided validation, support and a level of comfort and confidence that truly resonated with my daughter. Her practical, professional approach and thoughtful guidance made Liz a trusted advisor in a very short period. She entered our lives at just the right time,” said client, Janet Schuman. “Reducing Common Application stress is my main objective. I work with clients at any stage -- focusing on the creative and technical aspects of the writing process, providing guidance on the personal statement, supplemental essays and activities section. It’s such rewarding work; I look forward to assisting eager students at the College Expo and beyond,” said Waltzman. “Countdown to College Expo” aims to answer questions, provide resources and ultimately, prepare students for their college journey. For additional details, visit www.westportlibrary.org or to contact Liz Waltzman directly via her website, www.writeaheadcollege.com.